Over the past five years, the United States has experienced an astounding energy transformation. We are producing more oil—and using less—due to advances in drilling technologies and more-efficient vehicles, as required under the modern fuel-economy standards developed by the Obama administration. The increase in domestic oil supply, combined with the decline in demand, has also led to a significant decrease in foreign oil imports. These changes make us less vulnerable to a sudden foreign oil supply disruption that could cause price spikes. Unfortunately, the oil industry would squander this newfound price stabilization and energy security by lifting the ban on crude oil exports. Doing so would enrich oil companies by enabling them to sell their oil at the higher world price, but it could increase domestic gasoline prices and reduce our energy security. President Barack Obama and Congress should oppose these efforts to allow the export of domestically produced oil. The Energy Policy and Conservation Act allows the president to make exemptions to the crude oil export ban if it is in the national interest—such as in recognition of the historic trading relations with Mexico and Canada—to do so. Companies can also apply to the U.S. Department of Commerce to seek an exemption. In 1995, Energy Information Administration (EIA) data showed West Coast pump prices to be only 5 cents per gallon above the national average. But by 1999 West Coast gasoline was 15 cents per gallon higher. When crude exports stopped in 2000, the average divergence for the full year was 12 cents; it narrowed further in 2001 and 2002 to 10 and 7 cents respectively. … When Alaskan oil exports ceased, the gasoline price differential between the West Coast and the national average did decline. This experience suggests that lifting the crude oil export ban could similarly raise gasoline prices because 68 percent of the price of a gallon of gasoline is the price of oil, according to EIA. Since the price of crude oil is the primary component of the price of gasoline, actions that raise the price of domestic oil should also raise the price of gasoline. Additionally, domestic oil exported overseas would be replaced by more-expensive imported oil, which could then be reflected in higher gasoline prices. The lower domestic price for oil benefits families, businesses, and the overall economy. Crude oil exports could raise the U.S. oil price to the world price set by the Organization of Petroleum Exporting Countries, or OPEC, cartel. This would enrich oil companies at the expense of everyone else. Increased natural gas exports lead to increased natural gas prices. Larger export levels lead to larger domestic price increases, while rapid increases in export levels lead to large initial price increases that moderate somewhat in a few years. Unlike oil, there is not a worldwide market price for natural gas. Moreover, crude oil produced in the United States is feedstock for refined products that are sold domestically and internationally and not subject to export limitations. This complicates the analysis of price effects in U.S. markets for refined oil products, particularly gasoline and diesel fuel. Nonetheless, this finding that natural gas exports would increase the domestic price of that commodity could be instructive. Ideally, EIA would conduct a comprehensive analysis to gauge the expected impacts on domestic crude oil and refined product prices that would occur from lifting the ban. A December Reuters poll found that “a large majority … would oppose crude oil exports if it meant higher prices at the pump.” Furthermore, Americans want to limit exports of gasoline, particularly to avoid price increases. Supply and demand changes reduced oil imports by 46 percent from 2008 to 2013. The less oil we import, the more secure our oil supply. EIA projects that U.S. oil and liquid fuels consumption will grow modestly from 2013 to 2019, when oil use will peak at 19.5 million barrels per day, or mbd—5 percent higher than last year. U.S. liquid fuels use will then slowly decline to 18.7 mbd in 2040, only slightly above the current consumption level. This means that our oil consumption will remain fairly level over the next three decades despite population and economic growth. Dramatically reducing oil and liquid fuels consumption benefits vehicle drivers and the economy and reduces carbon pollution from motor vehicles. However, our consumption will continue to outpace our domestic supply of liquid fuels. 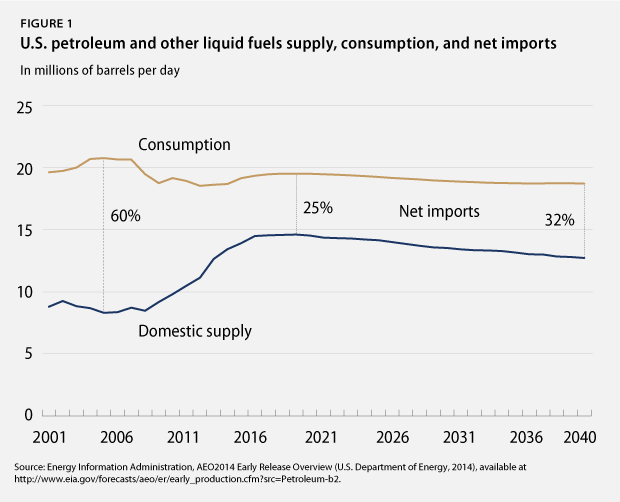 The United States will consume 5.3 mbd more oil and liquid fuels than it produces in 2014. This demand-supply gap will reach its narrowest point in 2016 and then expand steadily to 6 mbd in 2040. EIA projects that we will depend on imports for one-quarter to one-third of our liquid fuels consumption through 2040. Lifting the ban on crude oil exports would lower the domestic supply available to meet our demand. This would necessitate imports of foreign oil to replace the domestic oil shipped overseas. It would also reduce our energy security by increasing our dependence on foreign oil, which is still vulnerable to frequent supply disruptions. Unplanned crude oil and liquid fuels supply disruptions may occur frequently in many countries and for a variety of reasons, including conflicts, natural disasters, and technical difficulties. … Total outages among the Organization of the Petroleum Exporting Countries (OPEC) and non‐OPEC producers recently rose to historically high levels. Each of these supply disruptions reduced the world oil supply by a fairly modest amount. Some interruptions occurred in nations that do not sell us oil. Nonetheless, they led to oil price volatility that contributed to gasoline price hikes. A more serious supply disruption of foreign oil would have dire consequences for our economy. The United States imports more oil from OPEC nations than from Canada, our single-largest importer. OPEC nations experienced the majority of the lost production capacity over the past three years and are more likely to experience a significant future supply disruption because they are in volatile parts of the world. Oil produced in the United States is significantly less vulnerable to such supply disruptions and therefore provides more energy security. The call to lift the ban on crude oil exports comes amid the biggest domestic oil boom in a generation. The more frequent use of horizontal drilling combined with hydraulic fracturing—or fracking—to develop shale oil—or tight oil—contributed to a 50 percent increase in domestic oil and liquid fuels production from 2008 to 2013. In particular, the United States produced 12.6 million barrels of oil and liquid fuels per day in 2013, 42 percent more than 2001 levels. EIA projects that U.S. liquid fuels production will continue to grow to 14.6 mbd in 2019, after which it will begin to decline. It is projected to be 12.7 mbd in 2040—about the same as in 2013. EIA predicts that the current surge in domestic oil production is temporary, so crude oil export policy should not be based on the assumption of an endlessly growing domestic oil supply. With more light sweet crude able to flow directly from production regions to the coasts, U.S. imports of light sweet crude oil were largely displaced by new [domestic] production from the Bakken, Permian, and Eagle Ford tight oil formations. In sum, lifting the crude oil export ban would require additional imports to replace the domestic oil sold overseas. 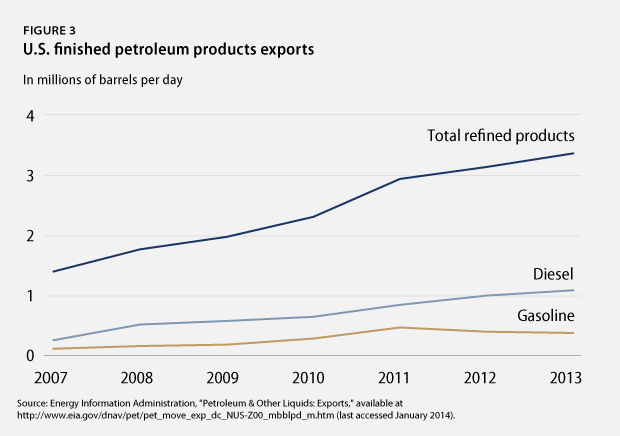 While domestic oil production has surged over the past few years, so too has the U.S. export of refined petroleum products, which are unaffected by the ban on crude oil exports. Total refined product exports averaged 3.5 mbd from January through October 2013, an increase of 150 percent from 2007. Nearly half of these exports consist of gasoline and diesel fuel, which can fetch a higher price in many foreign markets. As part of these refined product exports, the United States exported an average of 1.1 mbd of diesel and 388,000 barrels per day of finished motor gasoline. So oil companies and refiners are already effectively exporting oil, but as products finished by American workers instead of as raw feedstock. AFL-CIO President Richard Trumka opposes lifting the oil export ban for this reason. He believes that American workers should make crude oil into refined products, rather than sending crude oil to be refined overseas. Lifting the export ban to help oil companies earn more for their product would be worth consideration if they were in dire economic straits, but the opposite is true. The five largest oil companies—BP, Chevron, ConocoPhillips, Exxon Mobil, and Shell—earned a combined profit of more than $1 trillion in the past decade. Furthermore, they earned $71 billion in just the first three quarters of 2013. The companies are spending these huge profits on stock buybacks rather than investing in alternative energy or other projects. For instance, the five Big Oil companies spent nearly 45 percent of their profits on buybacks in the third quarter of 2013. Even with slightly lower prices for domestic crude oil, companies still make a healthy profit because production costs are relatively modest compared to oil prices. EIA estimated that the average total upstream costs of domestic oil production in 2009 were $31.38 and $51.60 per barrel for on- and offshore production, respectively. Refiners paid an average of $103.52 per barrel for domestic oil acquisition in the first 11 months of 2013, which was triple the production cost of onshore oil and close to double the cost of offshore oil. 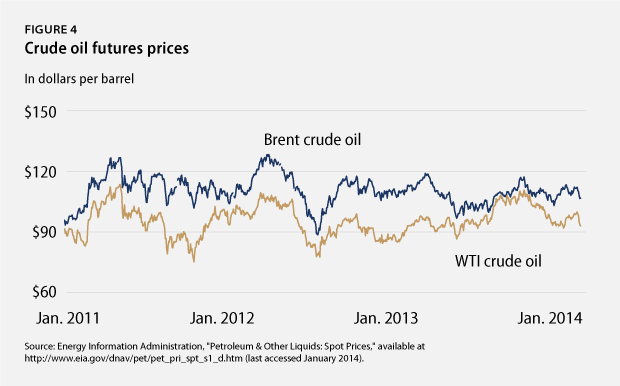 Even at the lower price, there was a healthy profit margin from domestic oil production. 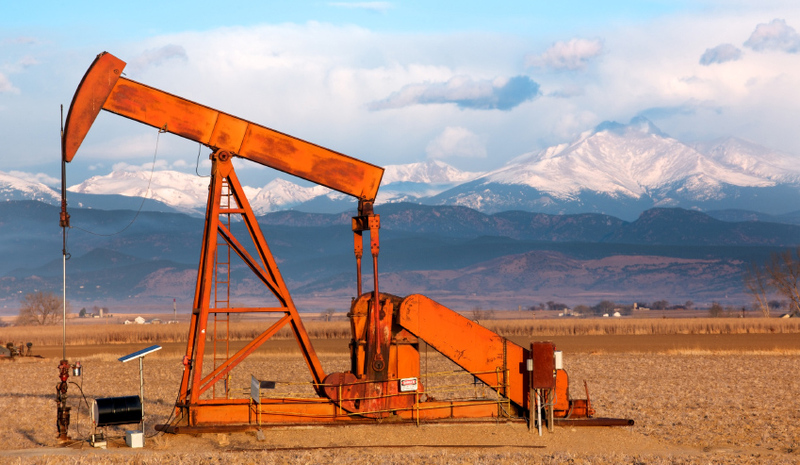 The Washington Post recently reported that “oil producers in North Dakota’s Bakken formation and elsewhere are already enjoying fairly high prices and expanding capacity at a staggering rate,” reflecting comments from Trevor Houser, an energy analyst at the Rhodium Group. Yet the American Petroleum Institute—Big Oil’s lobbying arm—advocates lifting the crude oil export ban so companies can receive an even higher oil price on the world market. Some oil companies may also wish to sell their domestic tight oil at the higher world price because their cost of production for the marginal, or last, barrel of oil increased. The Financial Times reported that the “marginal cost of production rose [in 2012] to $104.50, up more than 13 percent from $92.30 per barrel in 2011.” The article cites Sanford C. Bernstein, a Wall Street research firm, saying that “either [oil] prices must rise or costs must fall” for Big Oil companies to continue making significant profits. Our transportation system—planes, trains, and automobiles—is almost entirely powered by oil and liquid fuels. The complete dependence on this single fuel exposes American families, the economy, and our energy security to sudden price volatility or supply disruptions, even though we are producing the highest amount of oil in a generation. We must invest in alternative, nonpetroleum transportation fuels—including electric vehicles, advanced clean biofuels, and public transit—to reduce our exposure to supply disruptions or price spikes. Some proponents of allowing crude oil exports contend that the energy world has changed since the 1970s. 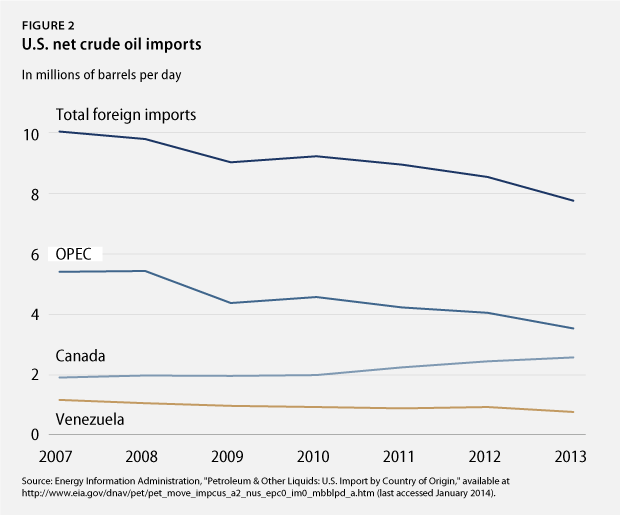 As previously noted however, the United States imported about the same proportion of oil and liquid fuels in 2013 as it did when the ban was enacted in 1975. There is no concrete independent analysis that lifting the ban on crude oil exports would leave gasoline prices or energy security unaffected. Until there is, President Obama and Congress should resist pressure from Big Oil to trade away our enhanced gasoline price stability and energy security in the name of more oil profits. Instead, they should defend the ban on crude oil exports. Daniel J. Weiss is a Senior Fellow and Director of Climate Strategy at the Center for American Progress. Miranda Peterson is a Special Assistant for the Energy Opportunity team at the Center. Thanks to Marc Jarsulic, Vice President of Economic Policy; Peter Ogden, Senior Fellow; Brandon Hurlbut, Senior Fellow; and Shiva Polefka, Ocean Program Research Associate—all at the Center—for their contributions to this analysis.